Give your workers unstoppable performance in the toughest environments with the corded DS3608-SR and cordless DS3678-SR ultra-rugged 1D/2D handheld scanners. 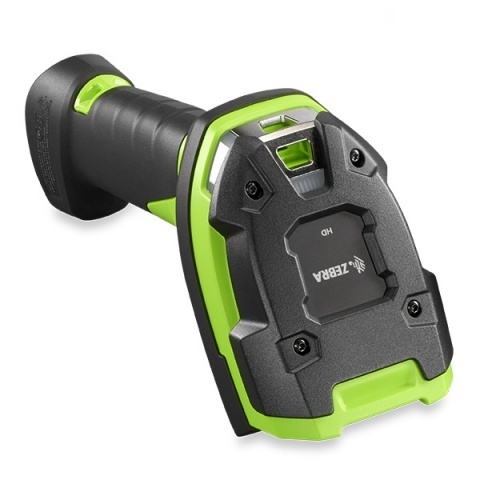 Your workers get lightning fast capture of any 1D or 2D barcode in virtually any condition up to 5 ft./1.5 m away, a multi-code feature that can capture up to 20 barcodes on one label simultaneously, a design that is practically indestructible, plus unrivaled manageability that makes staging and everyday management easier than ever. • Input Voltage Range: Host powered: 4.5 VDC min., 5.5 VDC max. • External power supply: 11.4 VDC min., 12.6 VDC max.